With the resurfacing of rumours that Jurassic Park 4 will be in cinemas for summer 2015, I thought it would be more than fitting to centre this fortnight’s MM Top 5 topic on the blockbuster franchise as a kind of celebration. This edition, we’re going to be looking at Jurassic Park Jaw-droppers, and knowing how action packed the trilogy has been, it’s safe to say there were a lot of choices for me to decide between. So, hold onto your butts as we explore the best scenes from one of the greatest franchises ever brought to film. Landing straight at number 5 is the only scene that is featured from the exceptionally underrated Jurassic Park III. 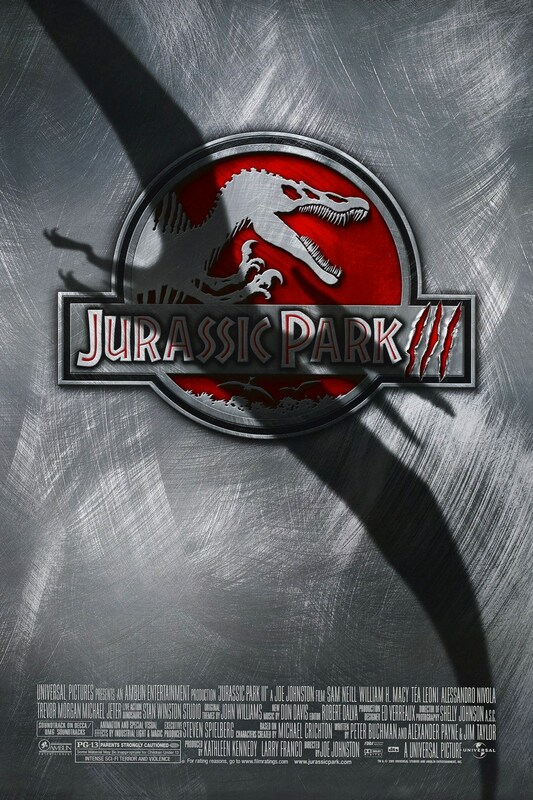 When it was released in 2001, JP3 was critically massacred over its ridiculously short running time, poor character development and the fact that it was exactly the same story from the previous two films. 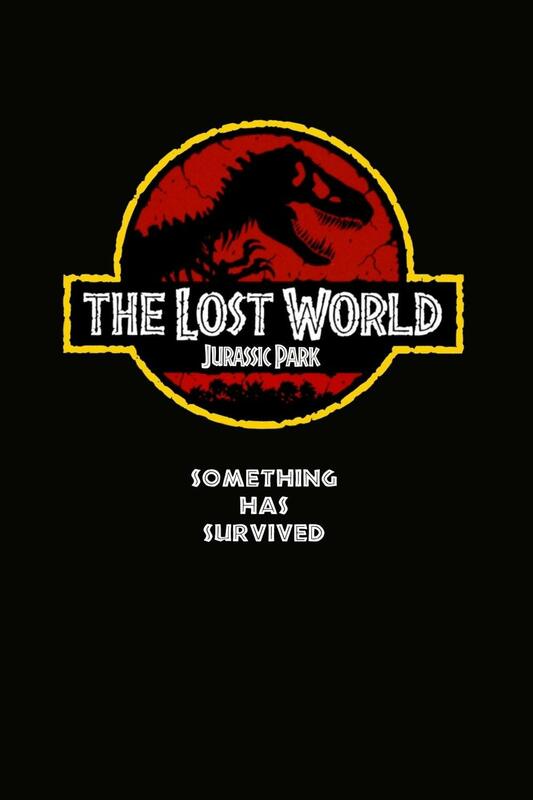 However, look deeper and you will find a good, solid summer action flick that combines the excellent special effects we’ve come to know the franchise for with the variety of dinosaurs that audiences wanted to see after the lacklustre offering in its predecessor The Lost World: Jurassic Park. The scene we are looking at here is the first time that pterodactyls have featured in the series, apart from a quick cameo at the end of JP2. This sequence in particular really showcases the film’s unbelievable special effects and remains a highlight of a very short movie. When Alan Grant, played again by Sam Neill, realises the team are in a birdcage all hell breaks loose as one of the creatures flies down and snaps up Eric (Trevor Morgan). What ensues is a daring rescue attempt featuring some breath-taking sequences with the series’ newest dinosaurs, a man stuck on a cliff and lots of running – what more could you ask for? Unfortunately, the impact the scene has on the rest of the film is minimal and it’s all over a little too quickly for my liking, meaning It’s a Birdcage can place no higher than 5th in this edition of MM Top 5. Steven Spielberg’s involvement, or lack of, in Jurassic Park III is down to his mixed feelings on its predecessor. Released in 1997, critics claimed that JP2 whilst still pushing the boundaries of special effects lacked the sense of excitement and honest humour that the original had in droves and Spielberg has recently commented that he felt the same way, that the film was rushed and one of his worst efforts behind the camera. Whilst this may be true to some extent, JP2 still had its fair share of jaw-dropping scenes. Stampeding into 4th place is the much criticised ending sequence of The Lost World: Jurassic Park where a rampaging tyrannosaurus causes havoc in downtown San Diego. Critics felt that the scene was overly long and a rip-off of King Kong, but I felt it was much more than that. It really showed the T-Rex in another light, taking it out of its comfortable setting of Isla Sorna and placing it in an urban population, something which had never been done before in the series. Add to this the fact that the animal was looking for its baby, a maternal instinct never picked up on before, and you have one stressed out carnivore. The best part of this scene for me is when it runs alongside a packed city bus, slamming into one side which causes the vehicle to hurtle towards a crowded video rental store, with disastrous results. Truly exciting stuff. Unfortunately, Spielberg’s rushed ending is really obvious here as it went through many drafts before this sequence was chosen and that’s a shame. It felt like it was tagged on to the end of the film and would’ve made much more sense if it had been placed at the end of Jurassic Park III. For that reason, Downtown Rampage places at number 4 in this fortnight’s list. The second sequence from JP2 takes the bronze medal this fortnight and what a scene it is. Featuring Julianne Moore, Jeff Goldblum and Vince Vaughn hanging on for dear life as an angry pair of tyrannosaurs push their state-of-the-art trailer off a cliff, it is an adrenaline pumping thrill ride. Filmed on the side of a multi-storey car park, Over the Cliff is one of the best scenes in a rather limp and disappointing sequel to the 1993 blockbuster. Perhaps the best section here is the cracking glass, with the camera holding steady on Sarah Harding’s (Julianne Moore) terrified expression as she realises that it could break at any time, sending her plummeting into the stormy sea below. However, the most terrifying part is before any of this happens as Julianne’s character holds on to a cupboard which suddenly opens, causing her to fall on an already cracked piece of glass. For first-time viewers, it is mind-blowing and brilliantly filmed, and for repeat watches, it remains an unescapably terrific sequence which breaks up the monotony of the second film considerably. Perfectly placed and perfectly shot, Over the Cliff rolls into 3rd place. 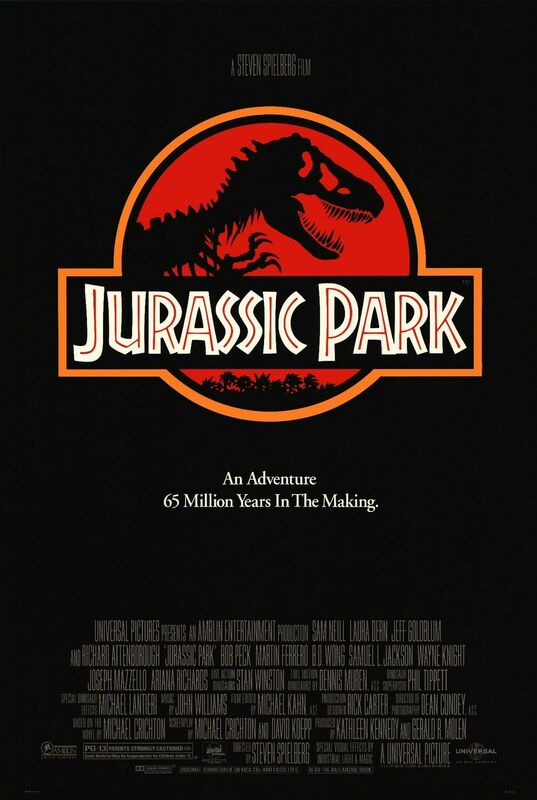 For some years before its June 1993 release, audiences had been expecting a film adaptation of Michael Crichton’s bestselling novel and after the announcement of Steven Spielberg as director, fans realised that their dreams of seeing dinosaurs acting realistically on screen were about to come true. Just what they were in for though was something they couldn’t have imagined. The first 30 minutes of Jurassic Park features only very brief glimpses of dinosaurs and teases the viewer brilliantly right up until the big reveal, which features here as our silver medallist. As the Jurassic Park emblazoned jeeps grind to a halt in a seemingly normal field, the first we know of anything untoward are the faces of Alan Grant (Sam Neill), Ellie Sattler (Laura Dern) and Ian Malcolm (Jeff Goldblum). After this we are treated the most iconic scene of the 20th century, bar none. The very first time we see a brachiosaurus in all its glory is an absolutely astounding feat, not only in the progression of special effects, but in the capabilities of actors who made audiences around the world believe that this animal was there, stood right in front of them. The line ‘Welcome to Jurassic Park’ will no doubt go in history as one of the finest moments in cinema history and even those of you who aren’t Jurassic Park fans will no doubt see from the clip that it is silver screen perfection. We have arrived at the golden boy for this fortnight’s edition of MM Top 5, and what a jaw-dropper this sequence is. When Jurassic Park was released in cinemas in the summer of 1993, audiences were expecting a sublime mix of action and special effects, which they got. However, towards the end of the film a small lull formed which needed to be eradicated by a truly outstanding action piece. What viewers got could’ve been a disaster, but due to the expertise of Steven Spielberg, the special effects gurus at ILM and the fantastic John Williams, it worked beautifully. The Raptors in the Kitchen scene flung those annoying children right into the centre of the carnage and whilst they had been in danger in the film before, no-one truly believed that anything could happen to them, they’re kids after all right? After hiding in the massive chef’s kitchen at the resort, the children Lex (Ariana Richards) and Tim (Joseph Mazzello) were forced into playing a cruel game of cat and mouse with a pair of hungry velociraptors, a species of dinosaur that hadn’t played any major part in the film until this point. The acting from the kids here is sublime and we really feel a sense of panic at being stalked by these terrifying beasts. The tension is cracked up to its peak as the dinosaurs get ever closer to their prey, tasting them in the air and waiting to strike. As a scene, this is the only one which could standalone and make your heart beat out of your chest and hold on for dear life as you share the peril these poor children have to go through. This is a truly unbelievable, mesmerising couple of minutes that cemented Jurassic Park’s place as one of the greatest blockbusters of all time. So, there we have it, Jurassic Park Jaw-droppers have been ranked. What are your thoughts? I’d love to hear from you, so please leave a comment in the box below, I reply to them all. Also, don’t forget to vote in our fortnightly poll and share your opinion on which of the top 5 you think is best. ← JP4 to feature underwater dinos! It was a tough choice between the top 2, but I don’t think anything tops the first glimpse of the brachiosaurus which took my breath away when I saw it in the cinema at age four, and to this day still does. Great list! Thank you for your comment Stephen. It was indeed a tough choice between the top two but I think the heart-pumping action of ‘Raptors in the Kitchen’ clinched it for me. All good choices but had no trouble deciding, as always loved the kitchen scene! Still scares me when I watch it now! Thanks for your comment Emily. Have you checked out the clip with the choices? It’s still an amazing scene 20 years on! Thanks for commenting Fiona. I’m glad you liked the list, and I’m very pleased you agree with my number 1. What did you think of the other 4? Haven’t seen Jurassic Park in years, got a copy I could borrow?? The raptors in the kitchen scene always used to make me hold my breath! It is a great scene, you’ll have to watch the full trilogy again! Thanks for commenting. I love the kitchen scene…one of my favourites but I’ve got to go with the cliff scene in the second film- my heart is in my chest the full time! I still get goosebumps watching it now! Thanks for commenting. No T-Rex attack on the tour vehicles from Jurassic Park? I love the T-Rex attack scene but the biggest plot hole in the film revolves around this sequence with the dinosaur appearing out of thin air. Later on we see at least a 50ft drop into the park so how on earth did the rex climb out? A brilliant sequence undeniably, but ruined for me by that rather large pot hole. Thanks for commenting.